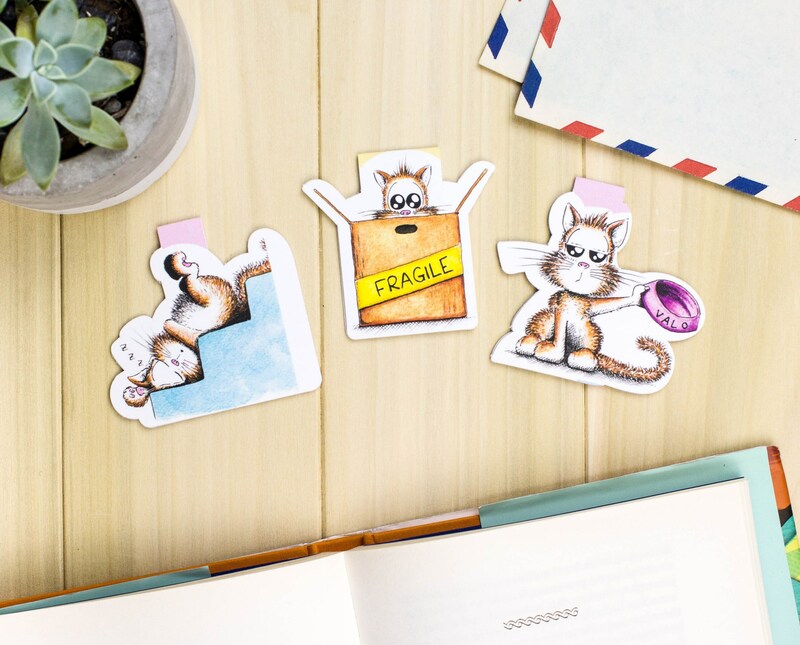 If you are a truly cat person, you need to have this set of 3 magnetic bookmarks of our cat, Valo. 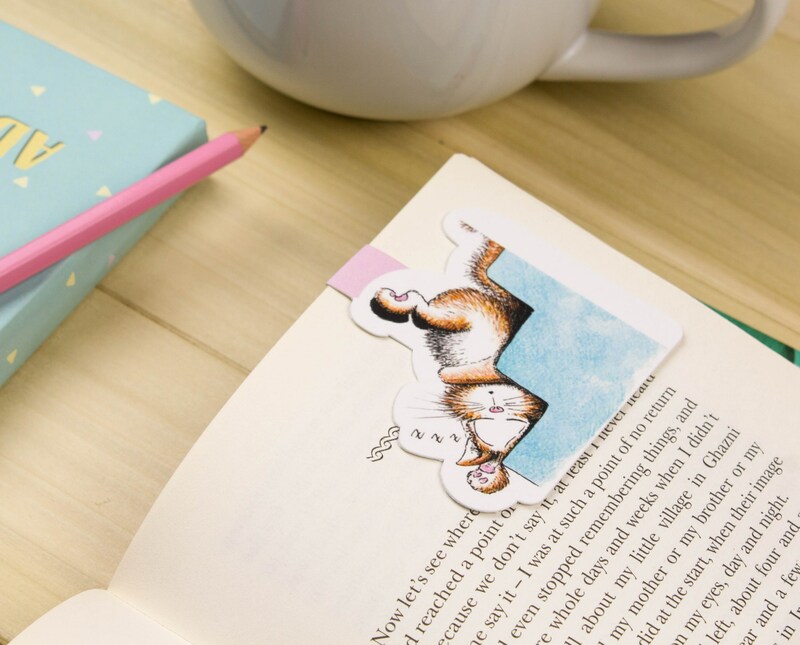 The bookmarks are designed as a clip that holds the top of the page, so you know exactly what page you’re on. 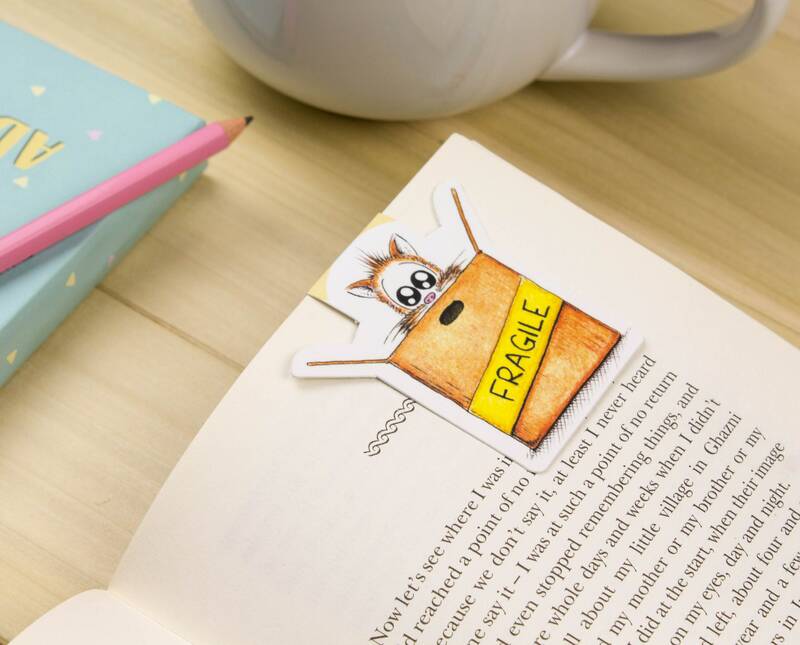 Don’t worry, we use a very thin magnet to protect the paper. 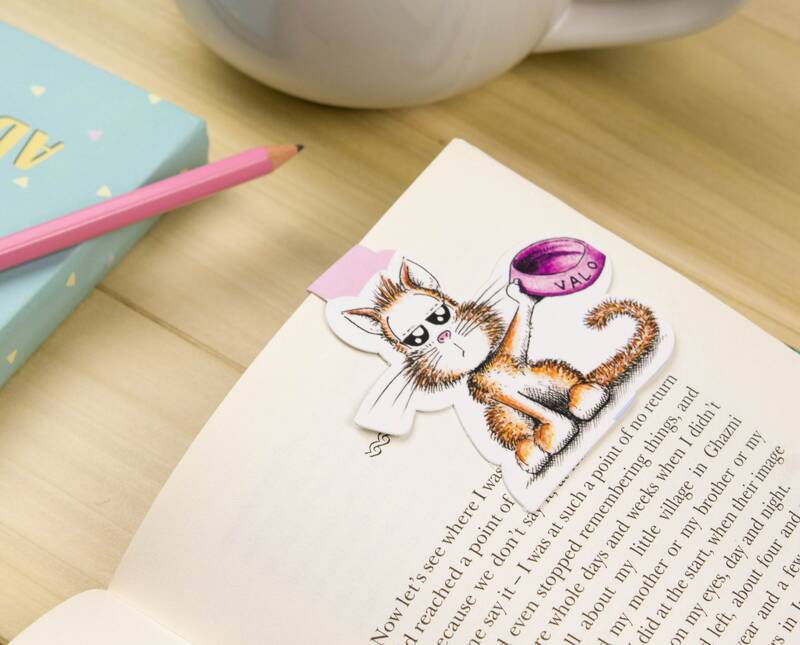 Illustrations are originally made by Loïc Apreda, and printed on high quality laminated paper.